This was my birthday cake this year, it had been on my radar for months. 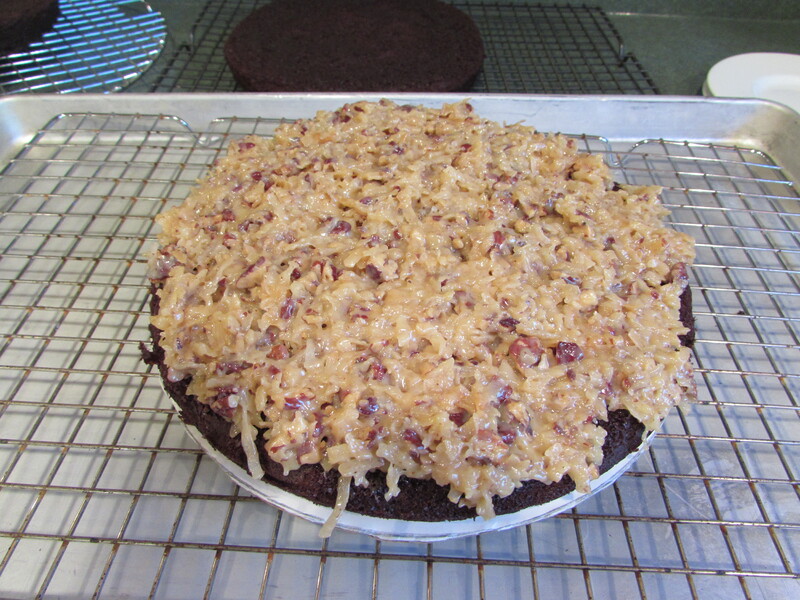 If you like chocolate and coconut, this is the cake. 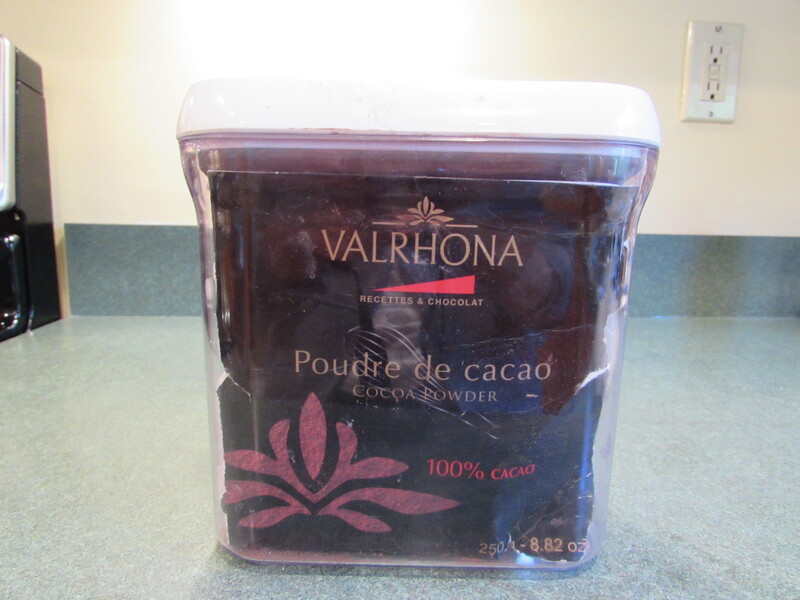 My daughter and son-in law came up for that weekend (Sarah and I share the same birthday), my daughter loves chocolate and coconut, as I do, so this was an excellent choice for a birthday cake. The cake was not perfect, it needed some tweeks, but it was delicious. When my daughter and son-in-law left to go back home, they drove back to get the leftovers. Definitely worth making again. 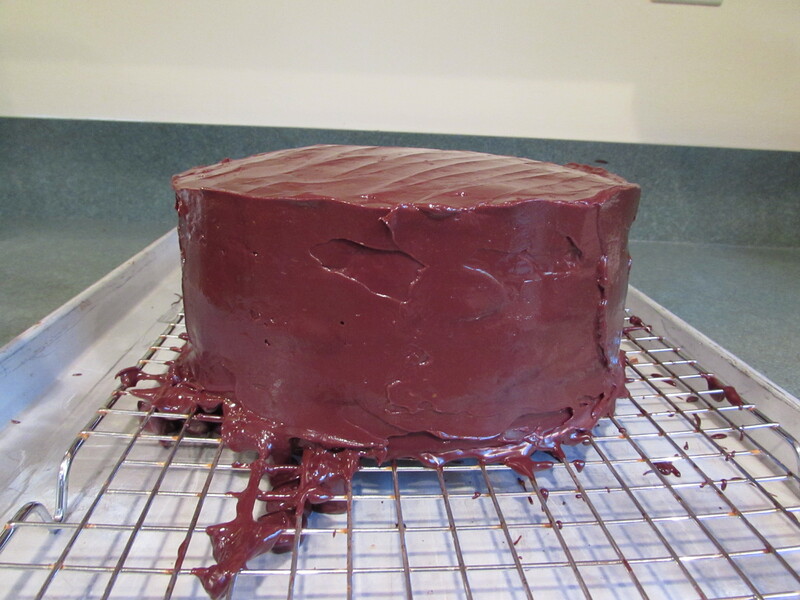 Excellent, I would be able to make the cake again but this time with a few minor adjustments. 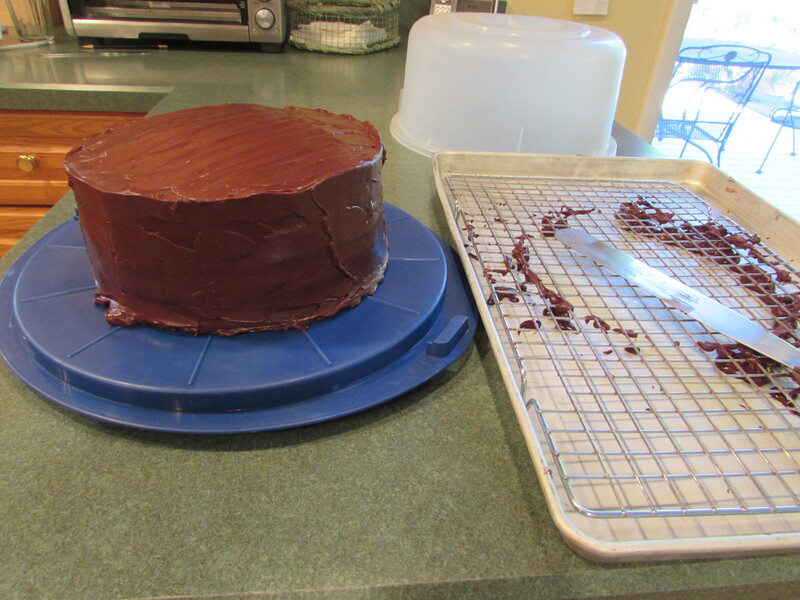 I changed the pan size, from 9 inch to 8 inch and for the glaze, I used my tried and true ganache from Martha Stewart. 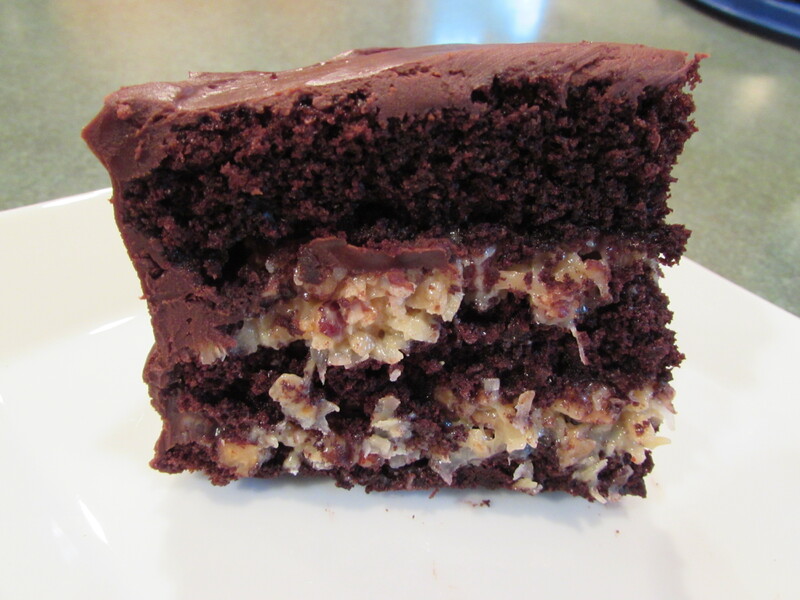 It made a huge difference and pushed the cake from delicious to decadent! This recipe has quite a few steps: cake, filling, glaze. But none of the steps are very difficult in themselves. You just need a chunk of time. 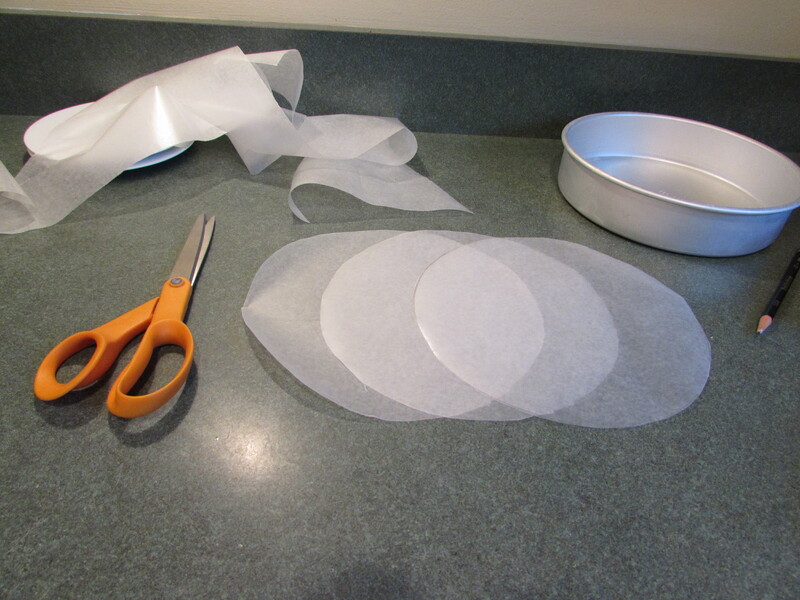 Cut out 3, wax paper rounds using the 8 inch round cake pan as your guide. 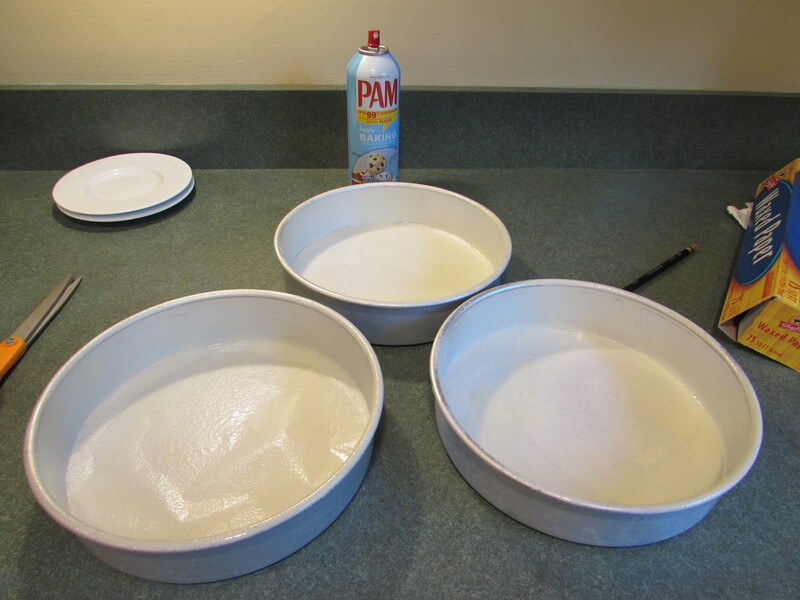 Spray cake pans with Pam Baking spray, place wax paper round on bottom and spray bottom of pans with Pam Baking spray. Set aside. 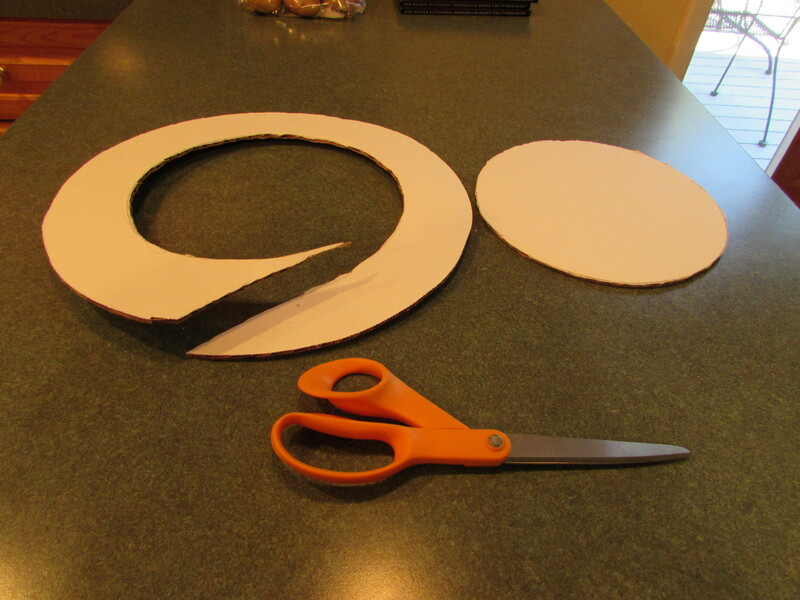 Cut out 1, cardboard round using the 8 inch round cake pan as your guide and set aside. You can purchase these from Michaels Craft Store. I have 12 inch rounds and cut them to whatever size I need. If you happen to have an 8 inch spring-form pan bottom, you can use that instead. This is really necessary, so don’t skip this step. 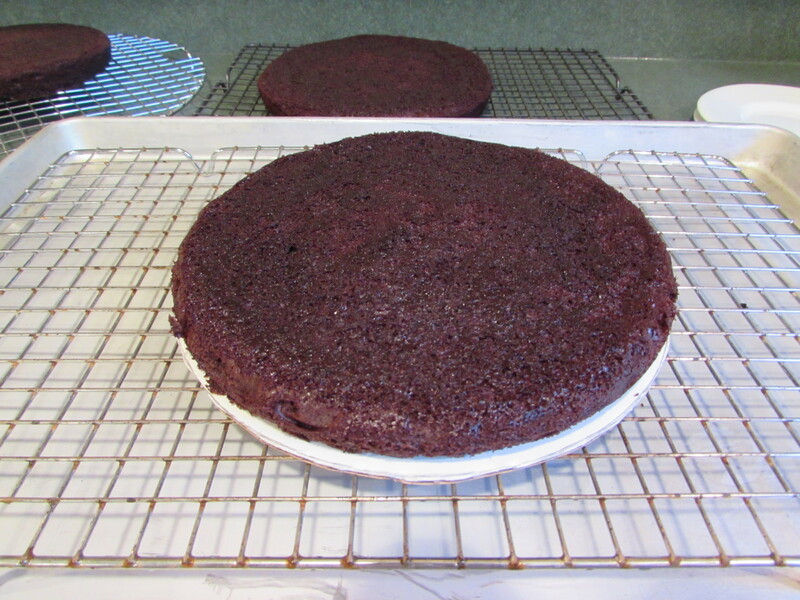 If you don’t put the cake on it, you will NEVER get it off the cooling rack. 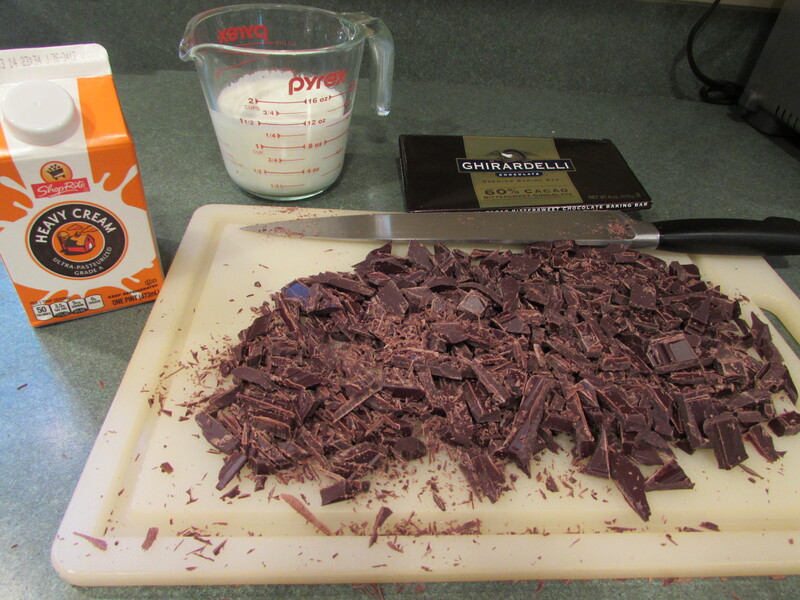 Whisk together the sugar, flour, cocoa powder, baking powder, baking soda and salt into a large bowl. Whisk together the whole milk, butter, whole egg, yolk, vanilla in another large bowl until just combined. 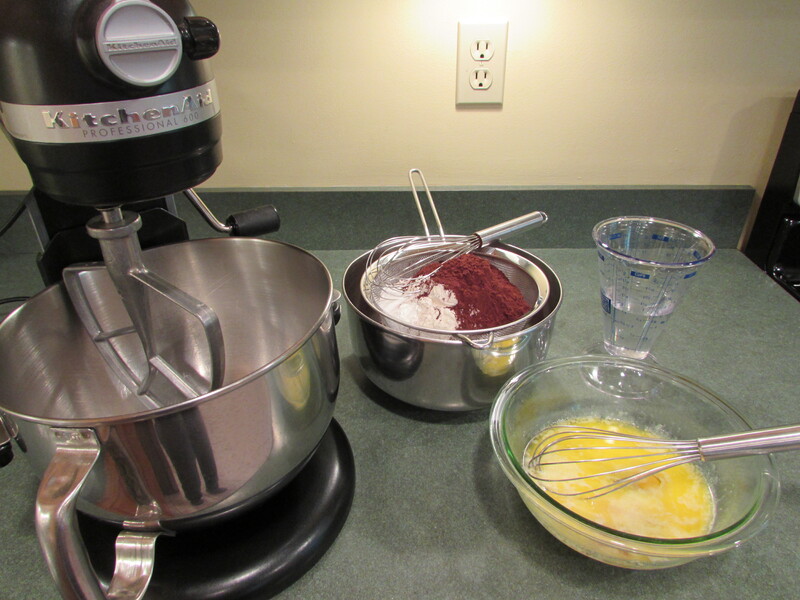 Beat the egg mixture into the flour mixture with an electric mixer on low speed, then beat on high speed for 1 minute. Reduce speed to low and beat in water until just combined. 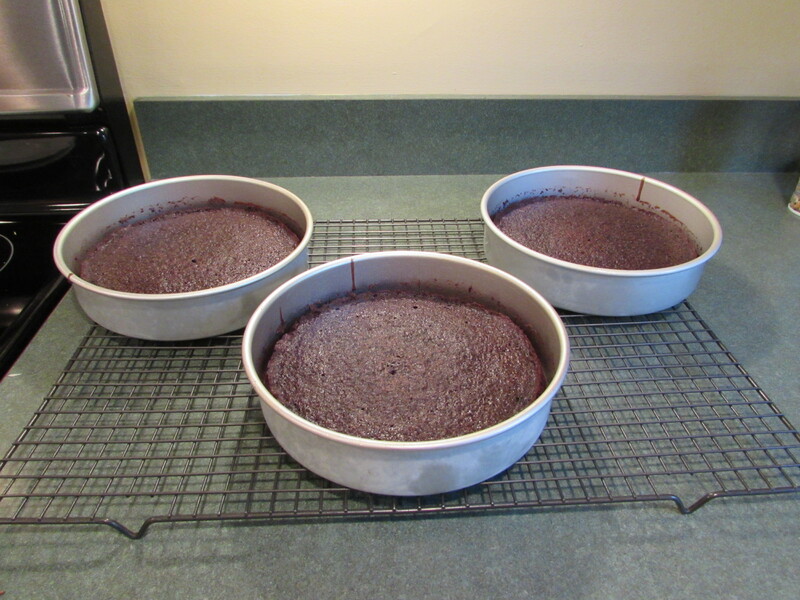 Divide batter among cake pans, about 1-1/2 cups per pan, and bake in oven for about 20-25 minutes, or until a toothpick inserted in the middle of the cake comes out clean. Cool layers in pans on racks for 15 minutes. Then run a thin knife around edges of pans and invert layers onto racks. 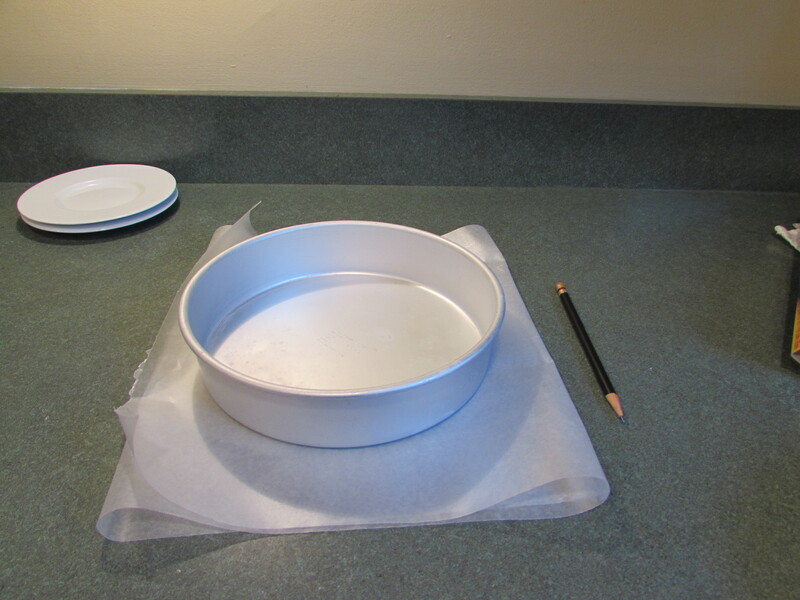 Carefully remove wax paper and cool layers completely. 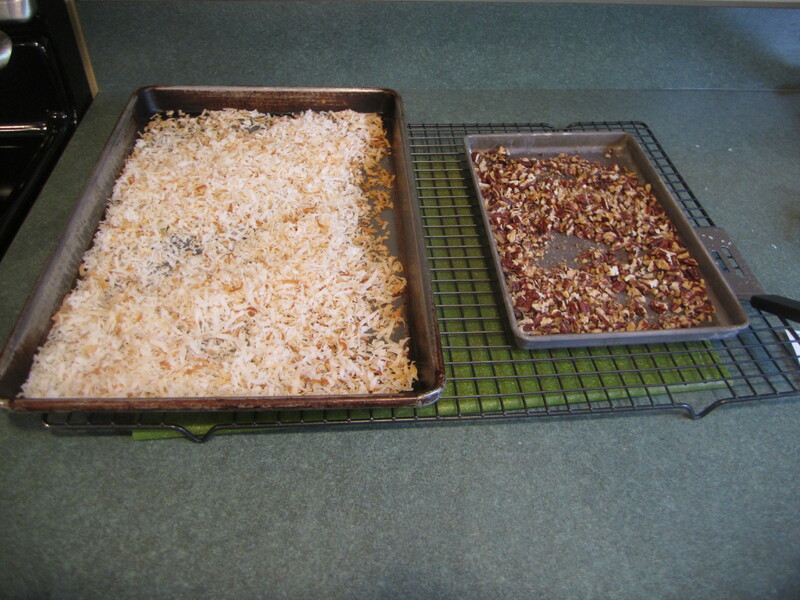 Spread coconut in a medium shallow baking pan and pecans in a small shallow baking pan. 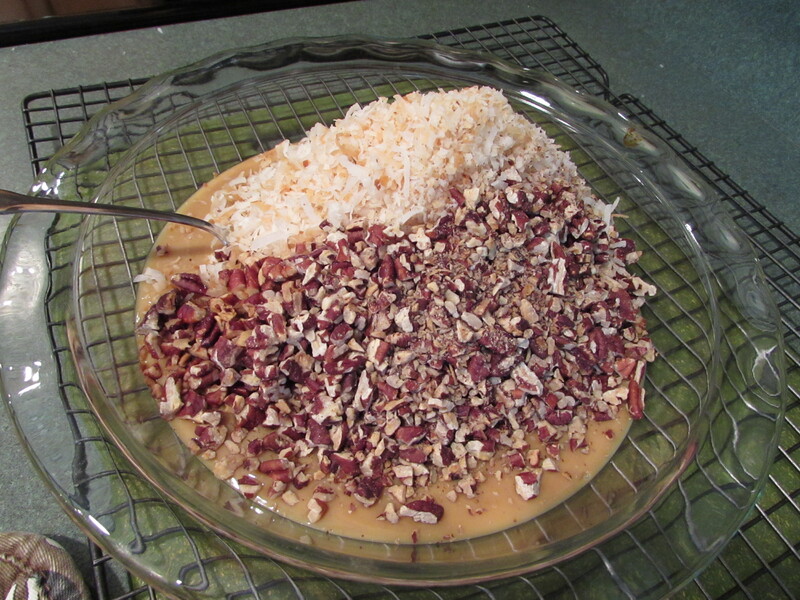 Place coconut and pecans in oven, for 12 – 16 minutes. Stir halfway through and then after 12 minutes, stir every minute for the next 3-4 minutes, until golden brown. Set aside to cool. 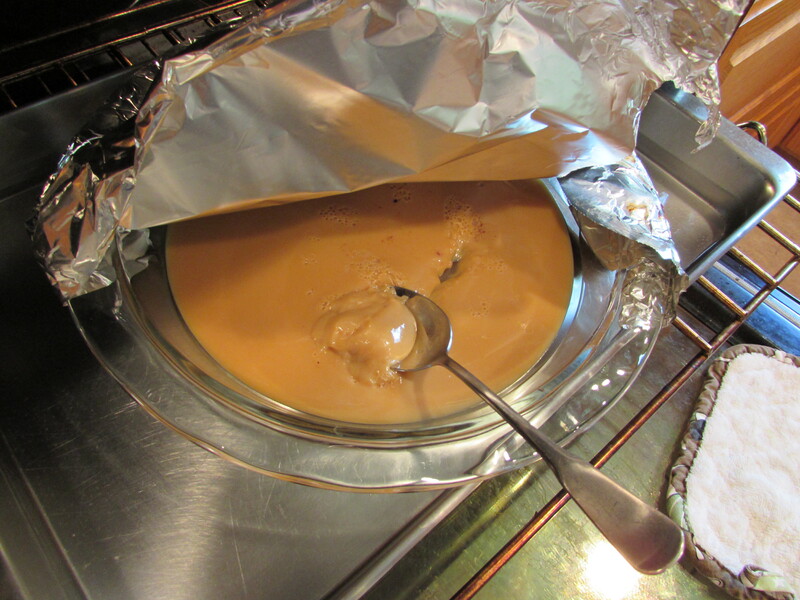 Pour condensed milk into a 9 inch glass deep dish pie plate and cover tightly with aluminum foil. 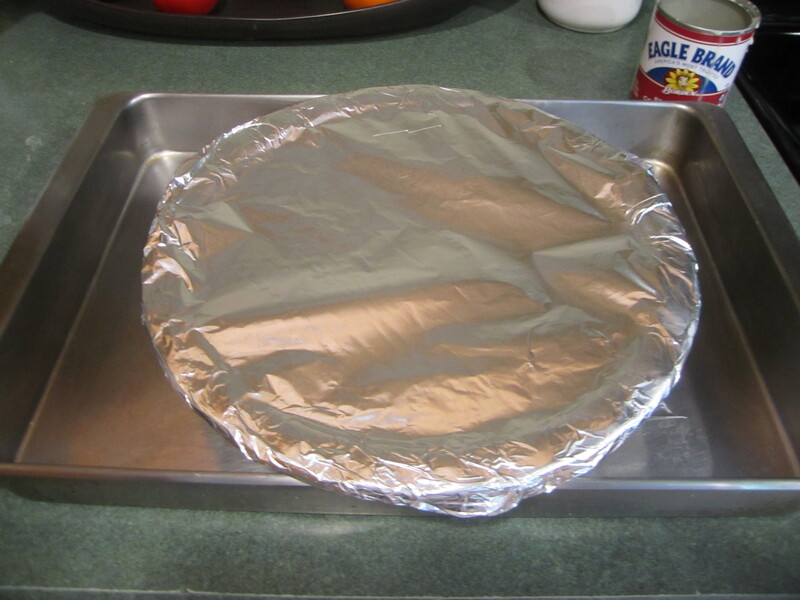 Place dish in a large roasting pan. Pour water into roasting pan half way up pie plate. Place in oven and bake for 45 minutes. 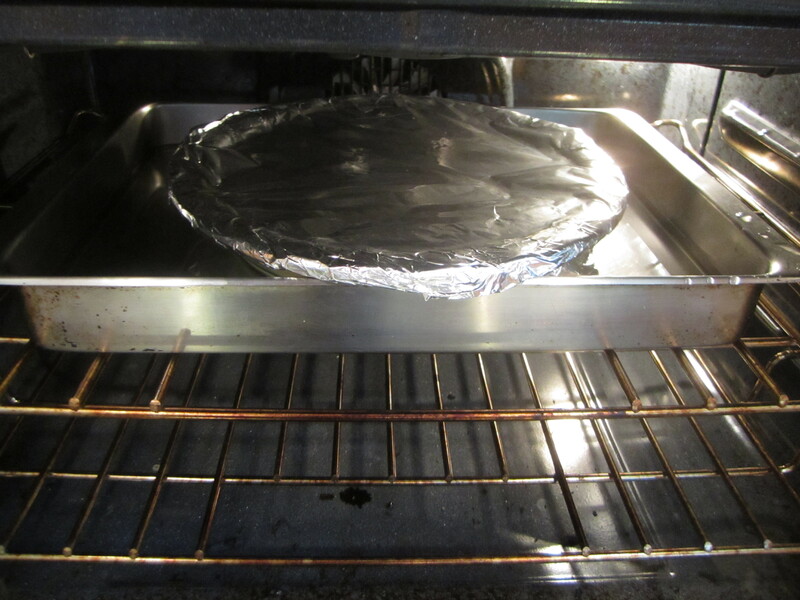 After 45 minutes, check to see if you need more water and if you do, pour more in so that it is half way up pie plate. Bake for another 30 minutes. The milk should be brown and thick. 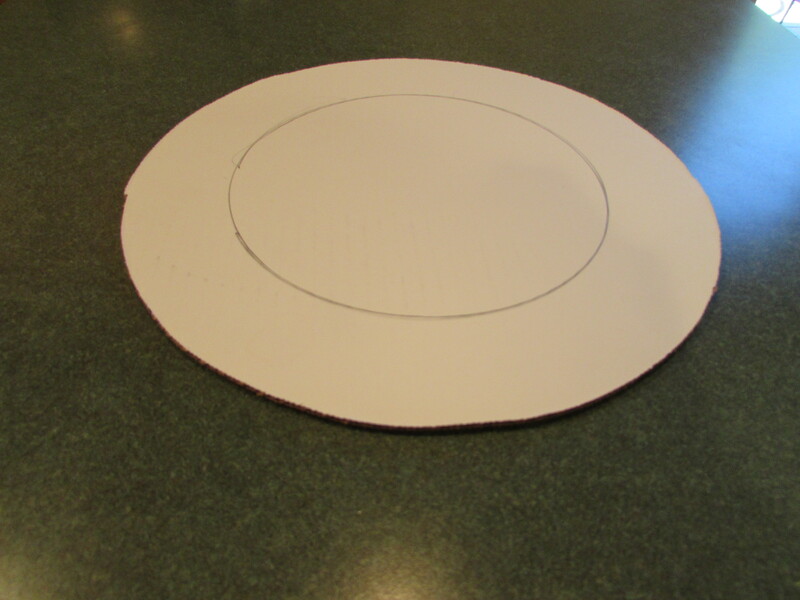 Remove from oven and take pie plate out of roasting pan. 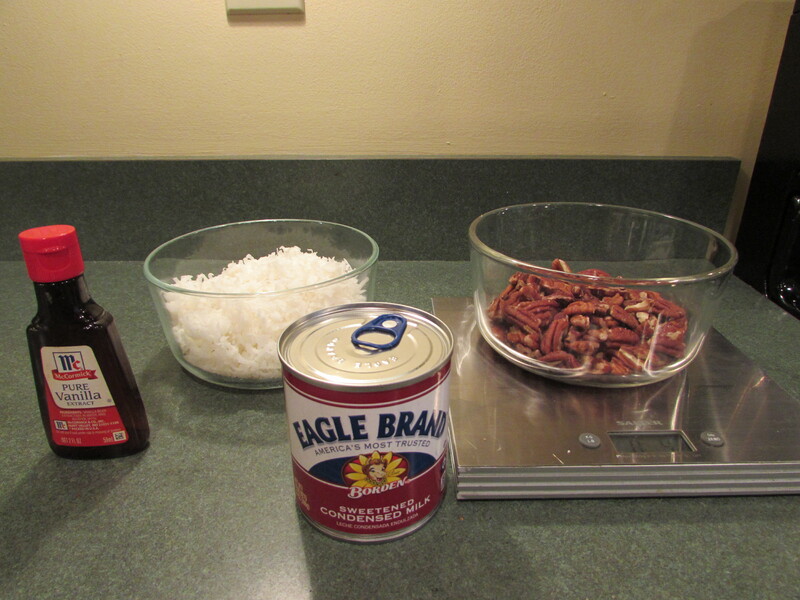 Take aluminum foil off and stir in pecans, coconut and vanilla. Set aside. 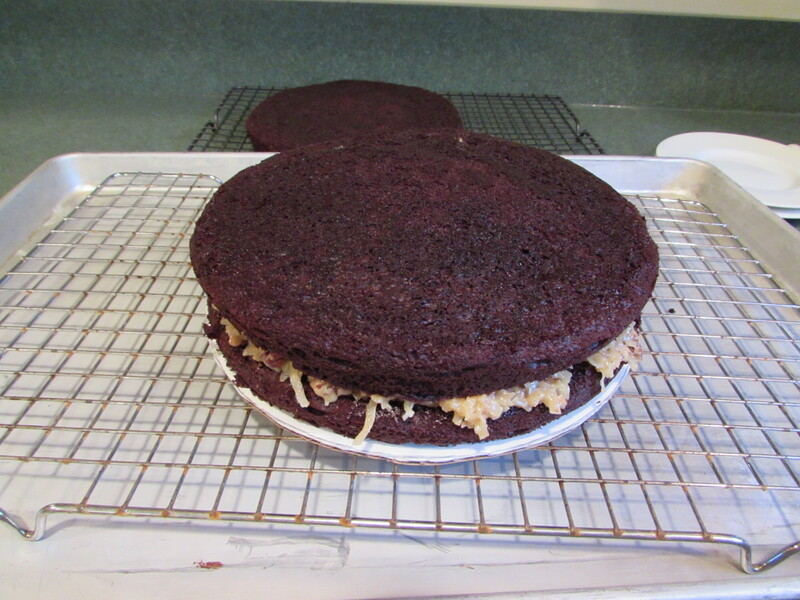 Assemble cake by placing 1 cake layer onto cardboard round and set on rack over a rimmed cookie sheet. 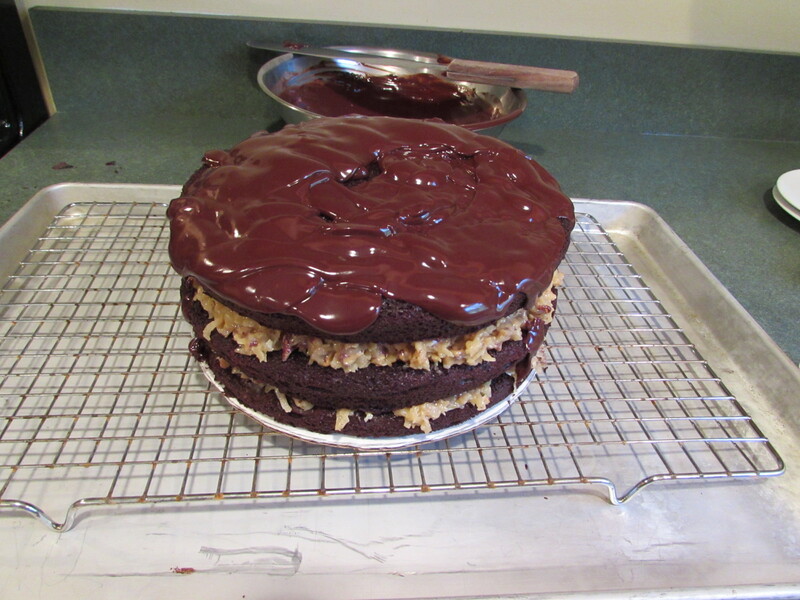 Drop half of coconut filing by spoonfuls evenly over layer and gently spread with a spatula to the edge of the cake layer. 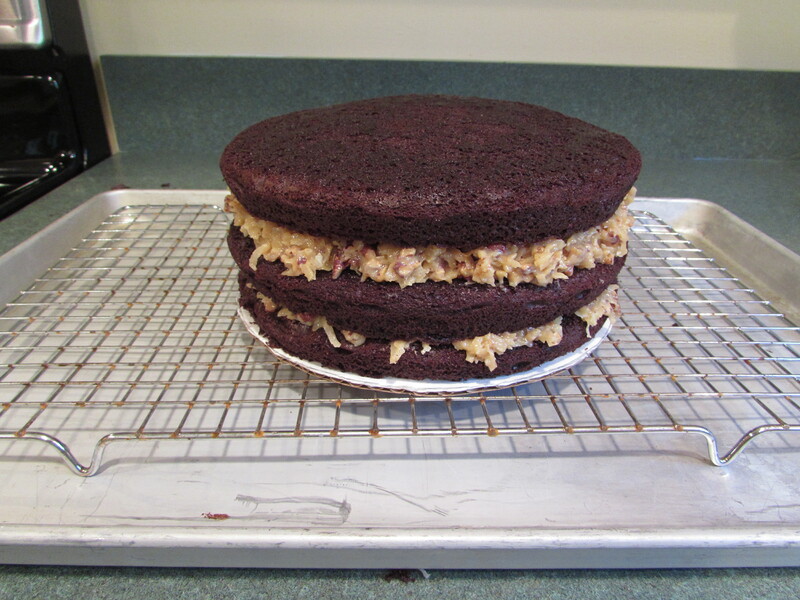 Top with another cake layer, spreading the filling in the same way. 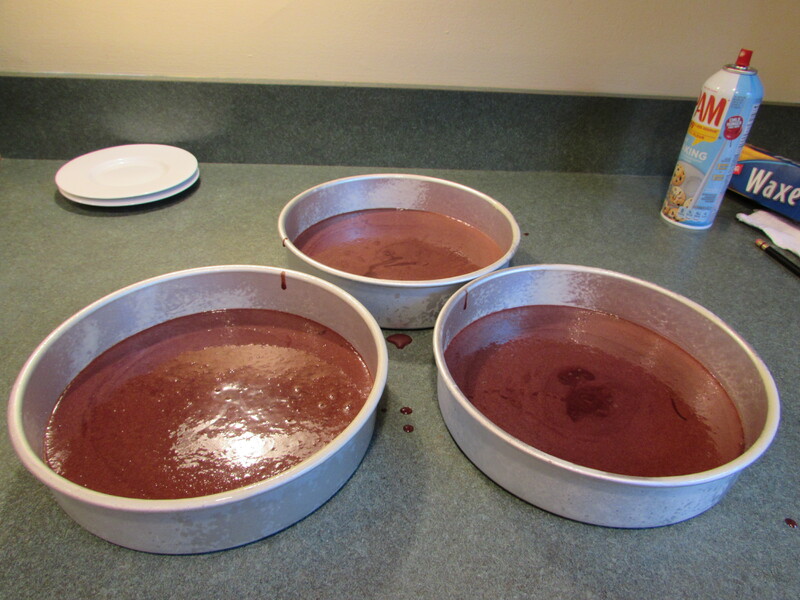 Top with remaining cake layer. 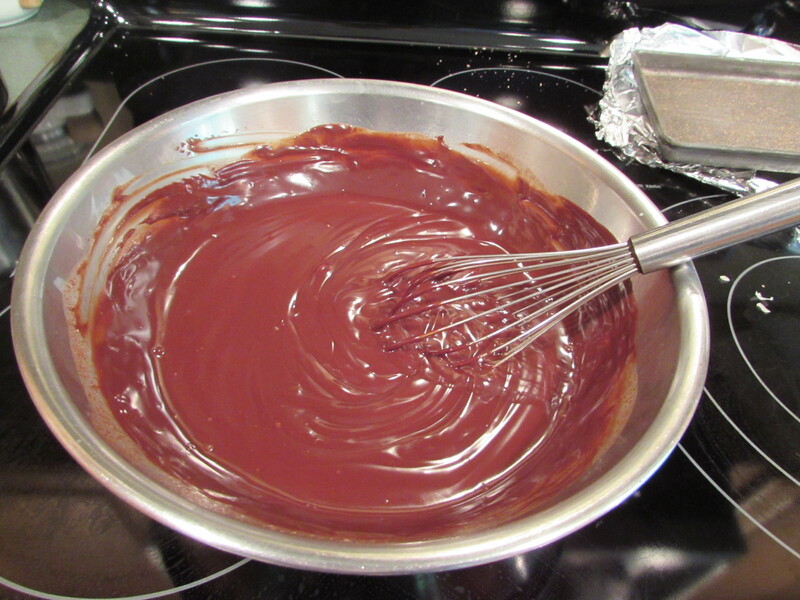 Make glaze: chop the chocolate into small pieces using a large sharp knife and place in a large metal bowl. 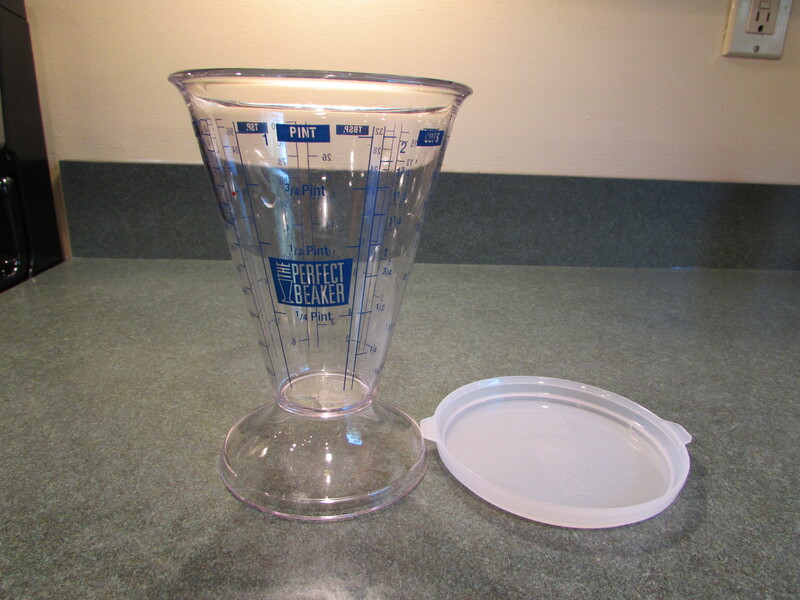 Measure heavy cream into a glass measuring cup and microwave on high for 1 minute and 30 seconds. 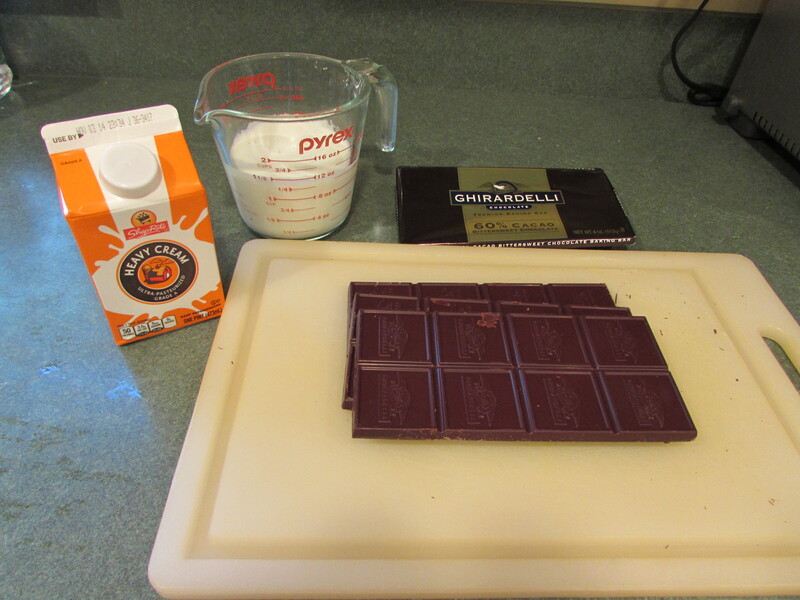 Pour over chocolate and let sit for 2-3 minutes. 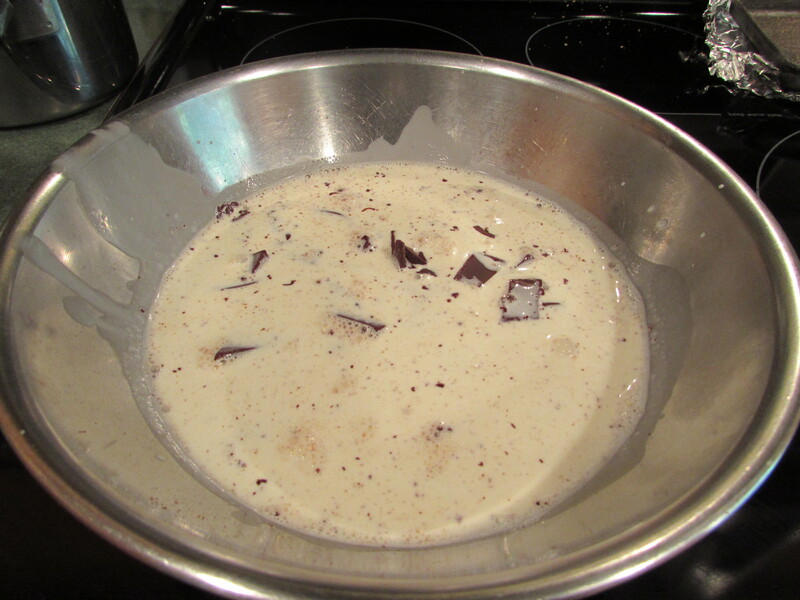 Then whisk mixture together until thoroughly combined and smooth. 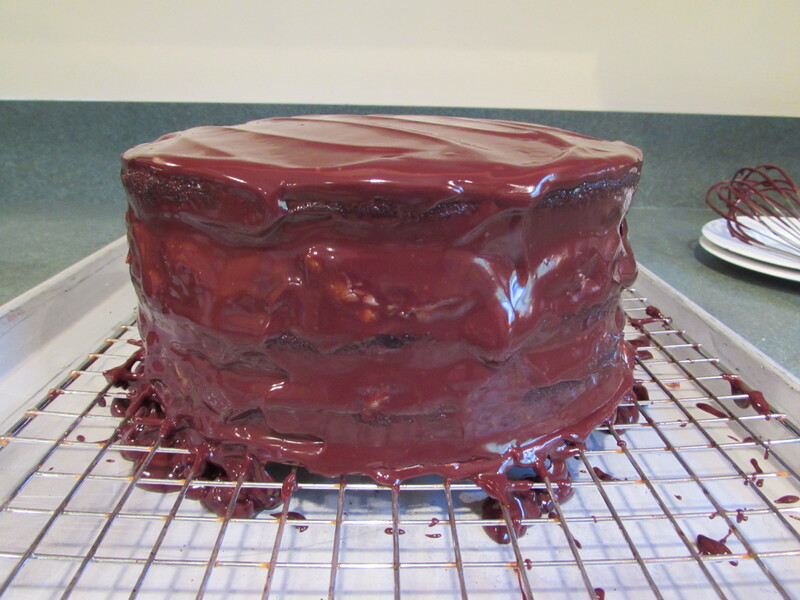 Slowly pour glaze over cake, smoothing the glaze over the cake using a large icing spatula. 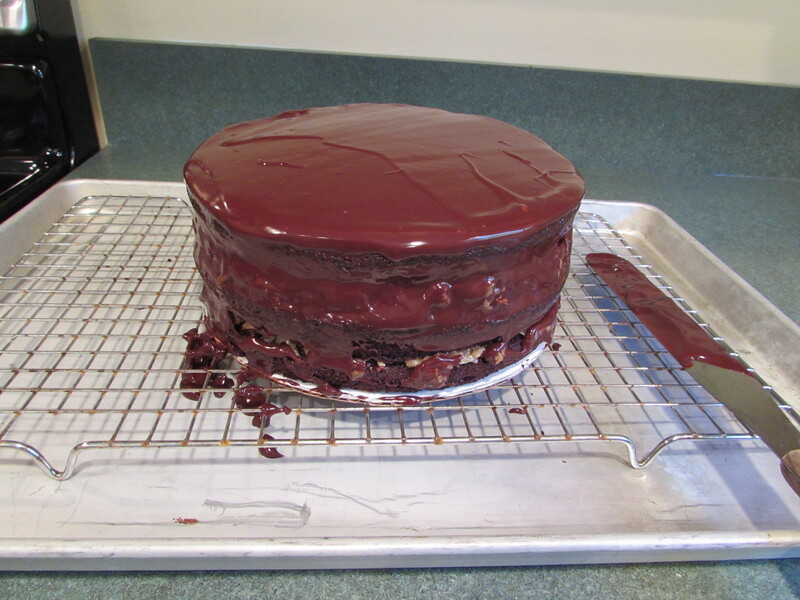 Do this in stages so that the glaze sets somewhat, making a nice layer over the cake. Let the cake sit for a half hour or so. 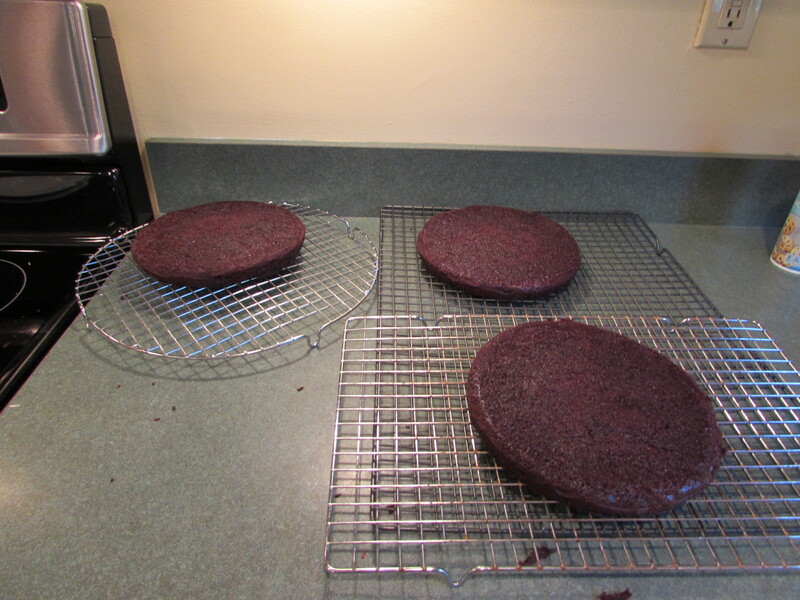 Then, very carefully, using a large metal spatula, transfer cake onto a plate and cover with a very large stock pot and put in refrigerator for at least one hour. Bring to room temperature before serving. You can also bake this cake one day in advance. Just bring to room temperature before serving. 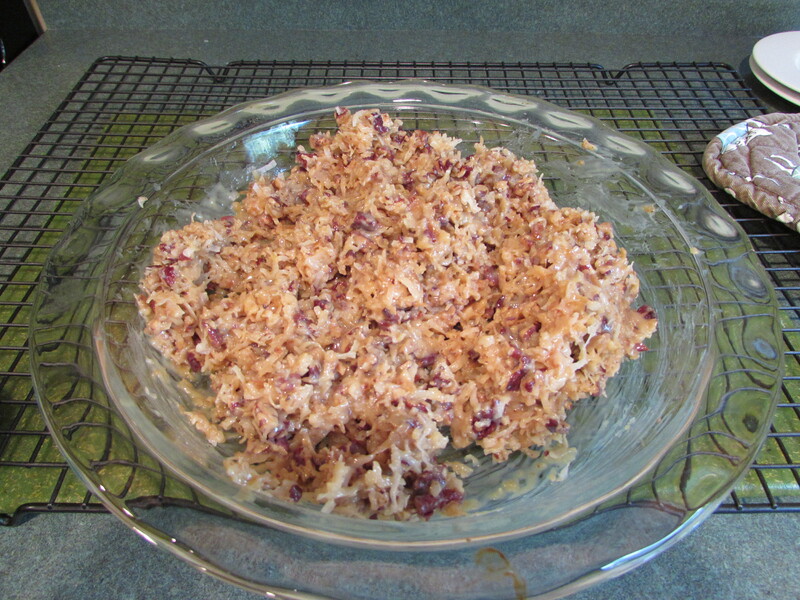 As always, I’m dying to try this recipe! Thanks for sharing, love your blog.